Seth Boldman, owner and designer at Aggressive Designs, recently painted a one-of-a-kind microphone and microphone stand for Christina Aguilera’s 2010 MTV Movie Award performance. 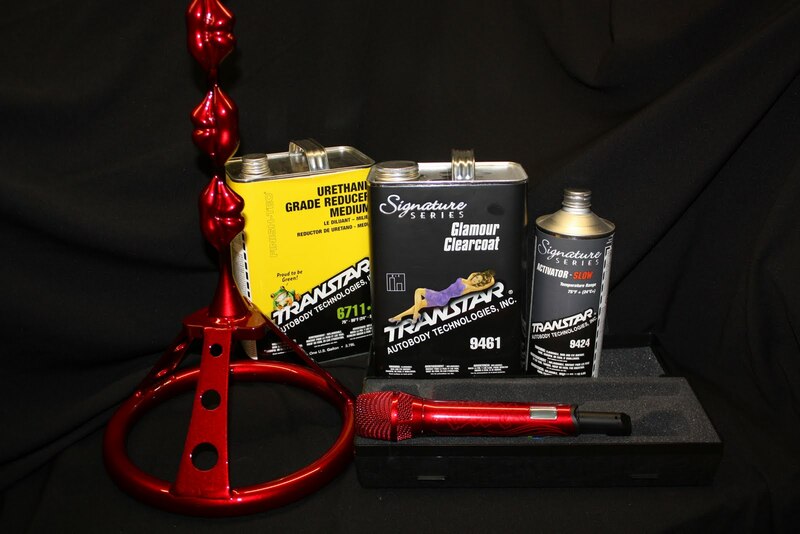 Made from start to finish using Transtar products, the stand and mic were finished off with Transtar’s Glamour Clear (#9461) to give it the perfect shine on stage. The candy apple red stand is composed of ‘lips’ stacked one on top of another with an old race car steering wheel as the base. 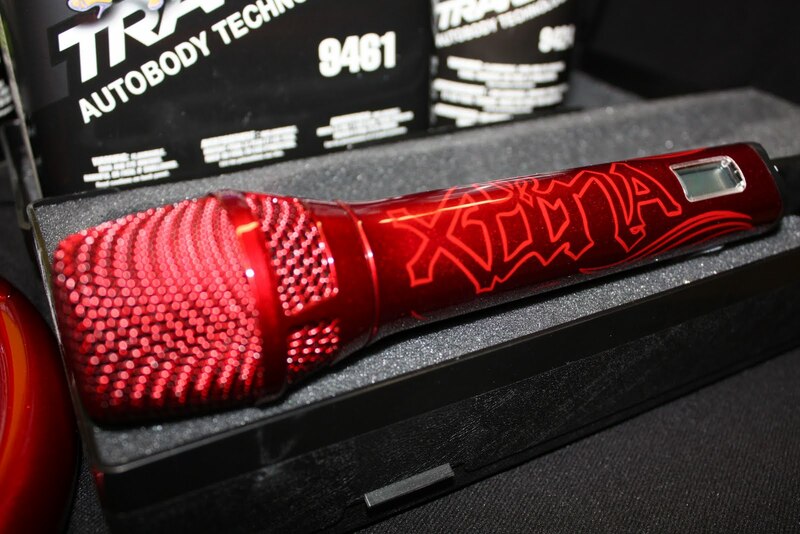 The mic matches the stand’s candy apple red and reads ‘Xtina’ in a tattoo script. Though the mic set was made specifically for the 2010 MTV Movie Awards, Aguilera was so pleased with Boldman’s work that she is taking the mic set on tour. Boldman took two days to finish the product and said that Aguilera was looking for the mic set to ‘match her red lips’. This is not the first time Boldman has created a unique design for Aguilera and does custom work for other celebrities including Lady Gaga and Tom Cruise. For more information about Seth Boldman and Aggressive Designs, visit www.aggressivedesigns.com or call 562.789.4900.